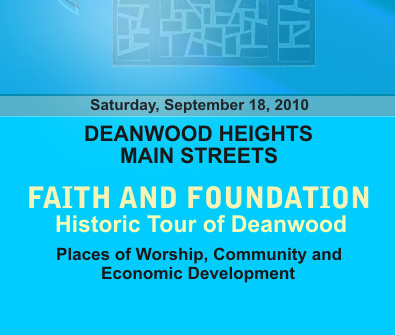 This audio tour and accompanying brochure builds on the success of Deanwood Heights Main Streets' 2009 Faith and Foundation project. Though many of Deanwood's historic houses of worship are included on the tour, the path also includes businesses and public spaces that have left a mark on the community's development. 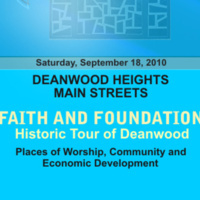 Deanwood Heights Main Streets, “Deanwood Heights Mainstreets: Faith and Foundation Historic Tour of Deanwood 2010 (Booklet),” DC Digital Museum, accessed April 22, 2019, https://wdchumanities.org/dcdm/items/show/1485.